RBTH presents a selection of views from leading Russian media on international events, featuring reports on a complaint filed by Russian lawyers against Microsoft over security issues connected with Windows 10, and steps taken to beef up cyber security by Russia’s Central Bank after hacking attempts from abroad, as well as analysis of the difficult situation facing Gazprom after the latest U.S. sanctions. 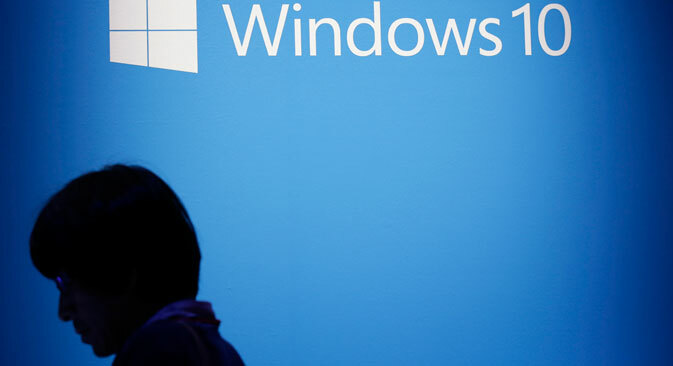 Several Russian media outlets have reported, citing RIA Novosti that the Moscow law firm Bubnov and Partners has asked the Prosecutor General to order Microsoft to eliminate violations of the law allegedly committed by the distribution of Windows 10. The law firm believes that the use of Windows 10 may result in a violation of Russian legislation, in particular the Law on Personal Data and the Law on Advocacy. According to the lawyers, the operating system collects and transmits the history of websites visited by the user, passwords, stores the user’s coordinates, fragments of postal correspondence, data linked to calendar events and samples of his or her voice. The applicants consider that no lawyer who uses Windows 10 cannot guarantee clients that the information they provide is secure, so the function of gathering information by default must be disabled. Microsoft has said that Windows 10 allows users to choose how their information is used, while Microsoft does not provide any governments with direct access to the e-mail and content of its customers. After the recent introduction of U.S. sanctions against the Yuzhno-Kirinskoye oil and gas field, Gazprom will have to intensify negotiations with American oil giant Exxon and Russia’s Rosneft to buy gas produced by the Sakhalin-1 project, business daily Vedomosti reports, citing two participants of Sakhalin-1 and a federal official. Gazprom has long been trying to negotiate the purchase of Sakhalin-1’s gas for the expansion of an LNG plant it co-owns with British-Dutch Shell as part of their Sakhalin-2 project. However, the parties failed to agree on the price, and now Rosneft and Exxon are thinking about building their own plant. In June, Gazprom and Shell agreed that the third stage of their enterprise will be fed by gas from Gazprom's Sakhalin-3 project, which includes Yuzhno-Kirinskoye. In late July, Shell CEO Ben van Beurden stated that Shell could get a stake in Sakhalin-3. But on Aug. 7, the U.S. banned to supply equipment for the development of the Yuzhno-Kirinskoye field. According to Sberbank CIB analyst Valery Nesterov, the sanctions against the Russian LNG project have been imposed to curb the rise in the share of Russian gas in the Asian market. Therefore the situation is complicated. If the state does not support Gazprom in its negotiations on Sakhalin-1 gas, then Gazprom will not be able to expand the plant and implement its strategy. Supporting Exxon, with which the state is involved in an ongoing tax dispute, is also problematic, said Nesterov. Employees of Russia’s Central Bank are no longer allowed to open letters containing files that have come from the internet on company computers, reports daily broadsheet Izvestia, citing the Bank of Russia’s report on cybersecurity. The only exceptions will be text files and images no larger than 5 MB. All other letters with any archives and executables will be automatically blocked at the Central Bank's mail gateway, he says. This is due to increasingly frequent virus attacks, including from abroad. As pointed out by Artyom Sychyov, deputy chief of the Bank of Russia’s main information security and protection department, the Central Bank divides all virus attacks into two types. These are special coders, whose purpose is to get money for decrypting user files, and backdoor viruses that allow hackers to gain unauthorized access to the regulator’s internal network to steal confidential data. The similarity of the methods used in different attacks indicates that they are being planned and implemented from a single center, he said, without specifying, however, what this single center could be. The Central Bank’s press service noted that so far no virus attack had achieved its goal.